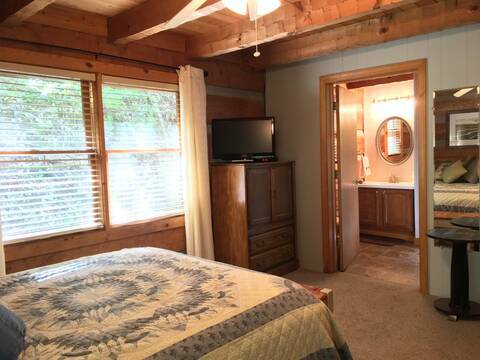 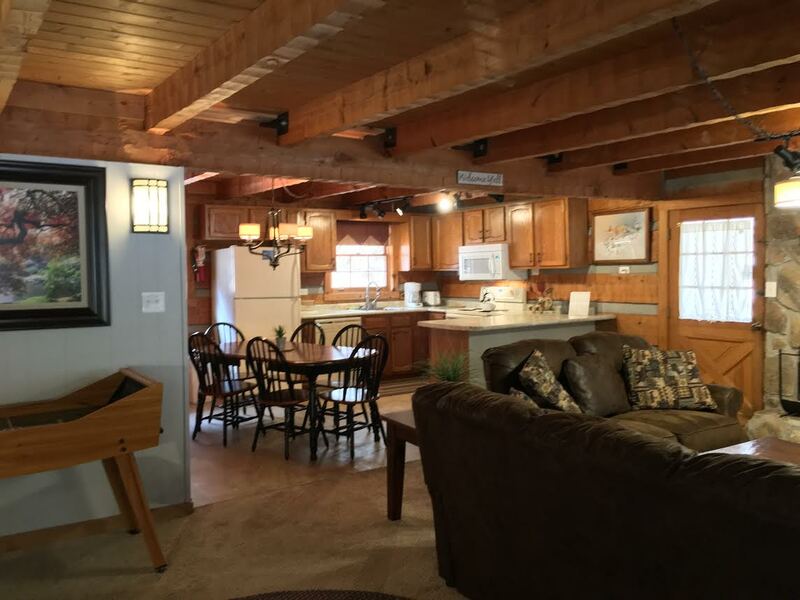 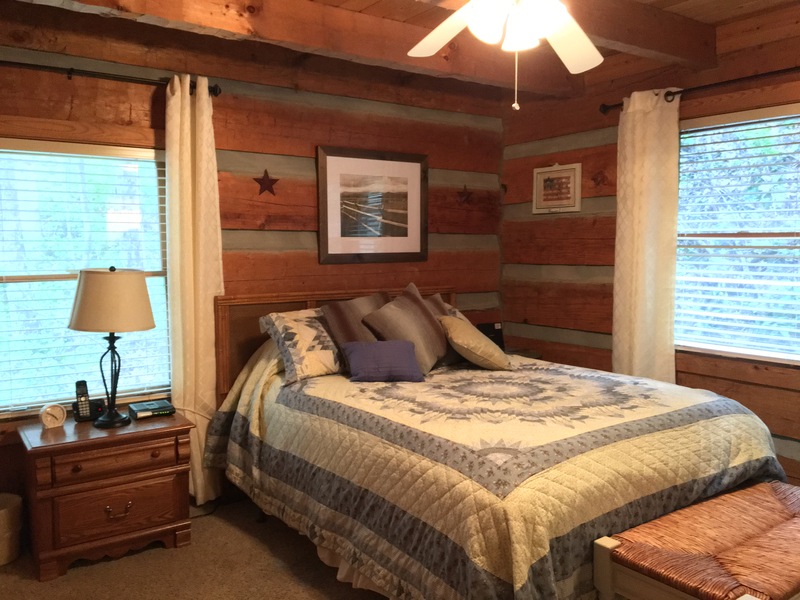 "THIS CABIN OFFERS A 15% DISCOUNT TO ALL MILITARY AND LAW ENFORCEMENT ACTIVE AND OR RETIRED!" 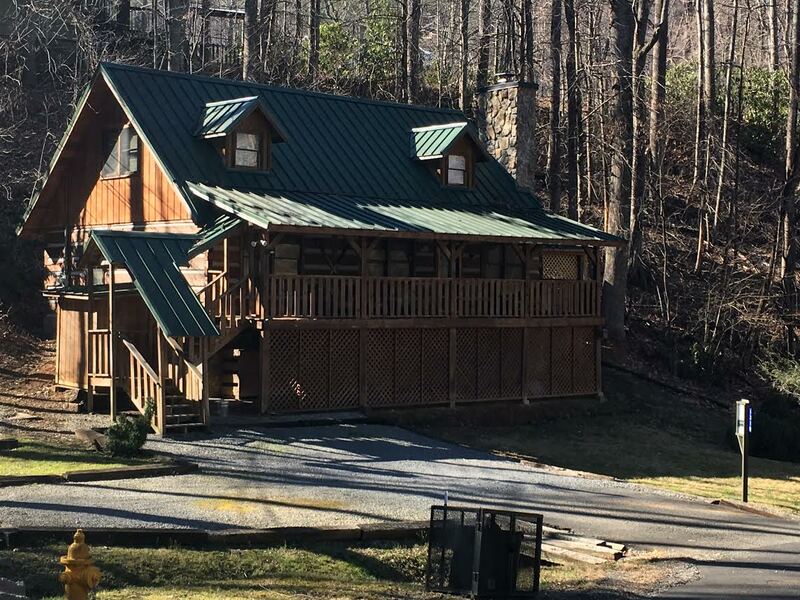 When you are thinking about a mountain vacation, you probably think “Log Cabin”, tucked away in the beautiful forests of the Smoky Mountains. 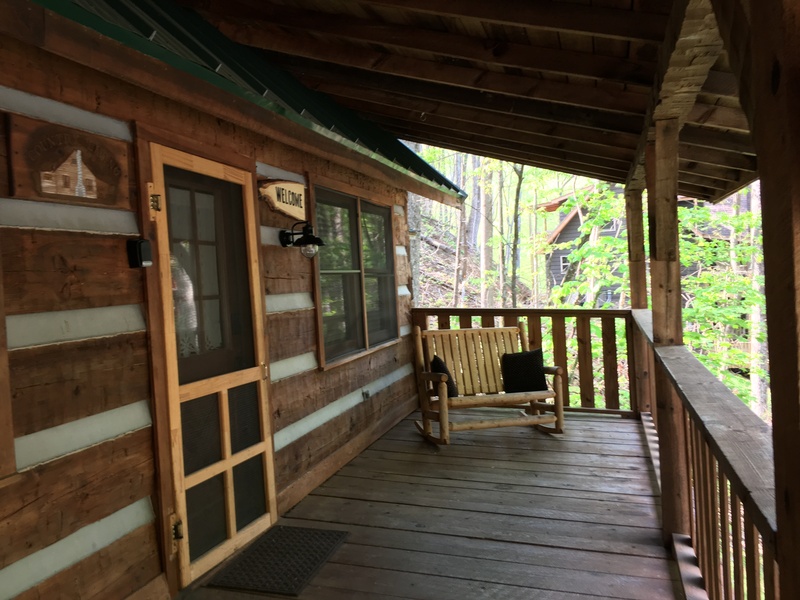 If so, you are thinking about Appalachian Dream Lodge! Inside this Gatlinburg cabin, the exposed wood beams convey a woodsy theme, while leather sofas and the large flat screen television gives today's traveler what they are looking for. 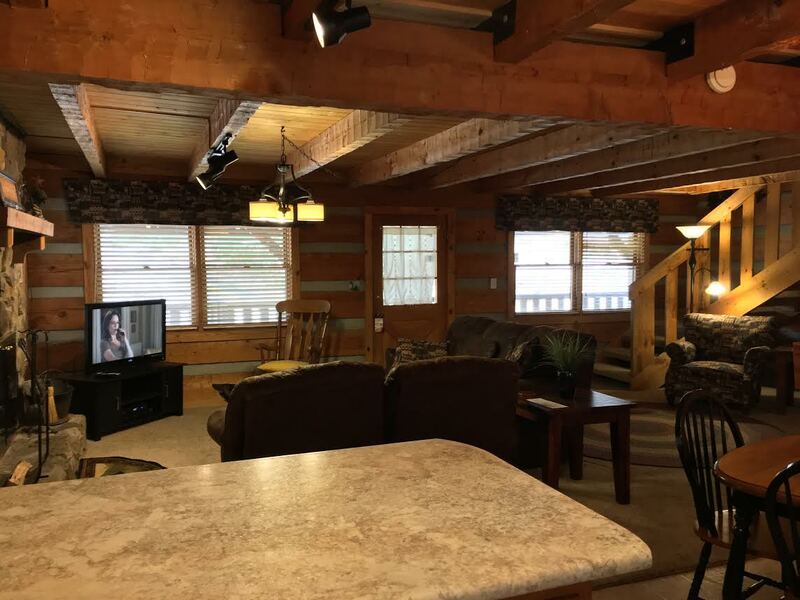 Sit, relax, and enjoy cable access to Spectrum Silver Package with HBO, Show Time and access to all Sports Channels so that you do not miss any important games. New ceiling mounted 46 in Sony TV with stereo in the living room. 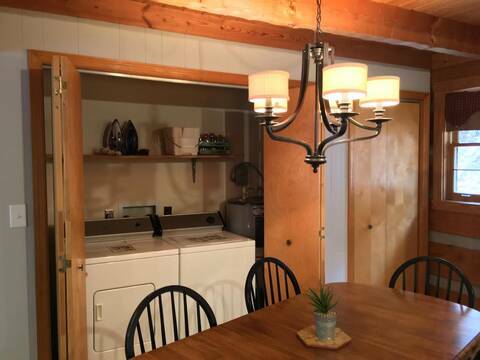 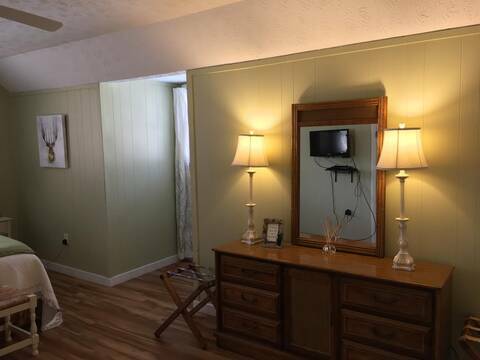 The cabin also offers high-speed internet to keep you connected as well as a wood burning fireplace you can curl up in front of after a cold day on the slopes. 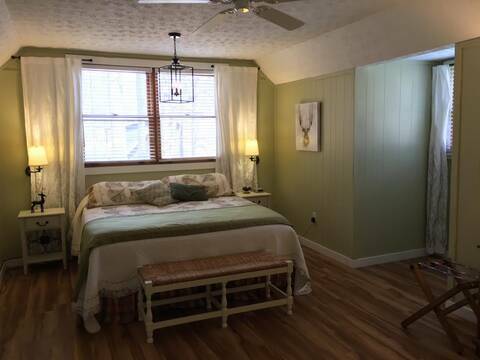 On the main floor there is a reading nook tucked under the stairs which provides a quiet respite for the reader in the group. 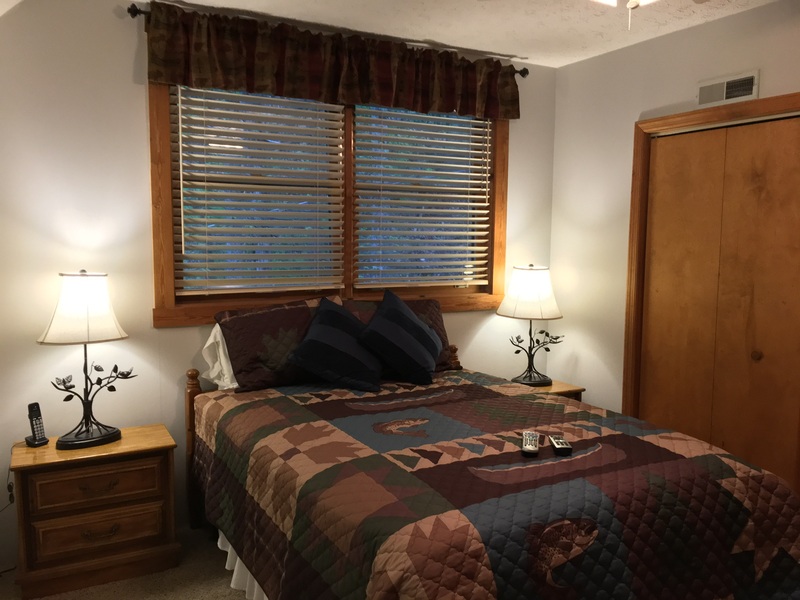 Also on this main level, you will find a private Queen size bedroom with a full bathroom that can be accessed from the bedroom as well as the hallway. 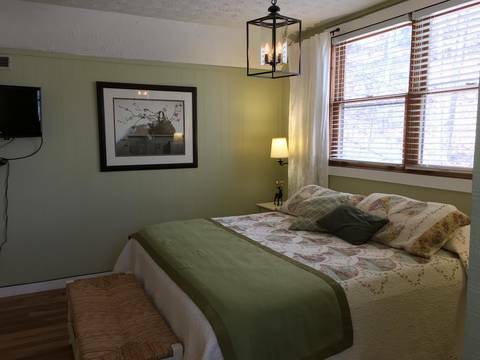 Across the hall from the bedroom is an additional private room with a 'twin over full' bunk bed set for extra sleeping. Upstairs you will find two additional bedrooms, one with a King bed and one with a Queen bed. 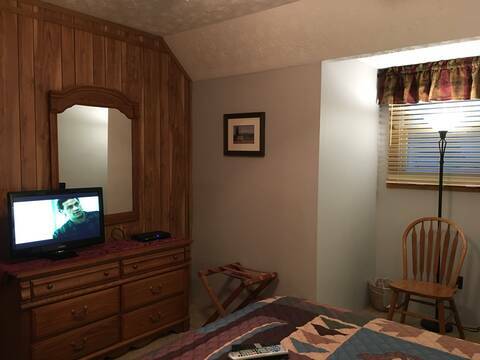 These two bedrooms share a large bathroom with a shower. 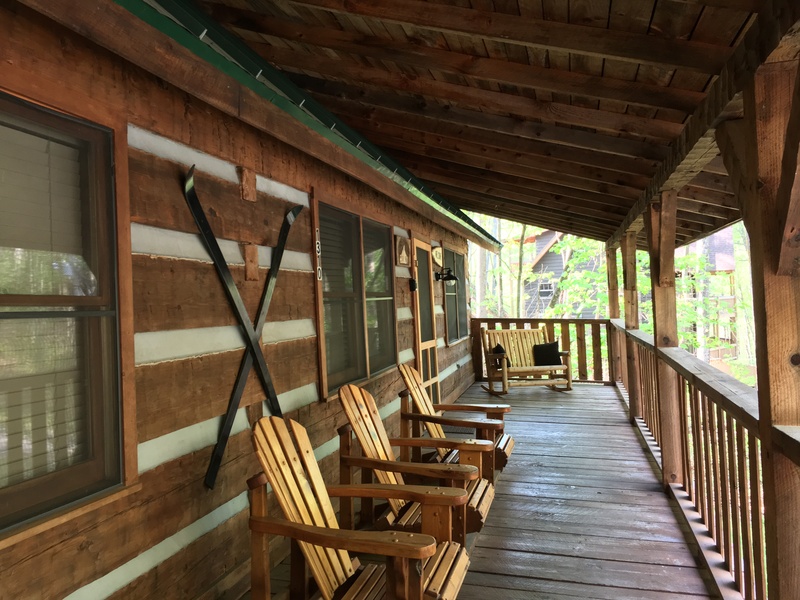 During the day, you can sit outside on the covered porch and watch the comings and goings on the road below, and just enjoy the sounds of nature around you. 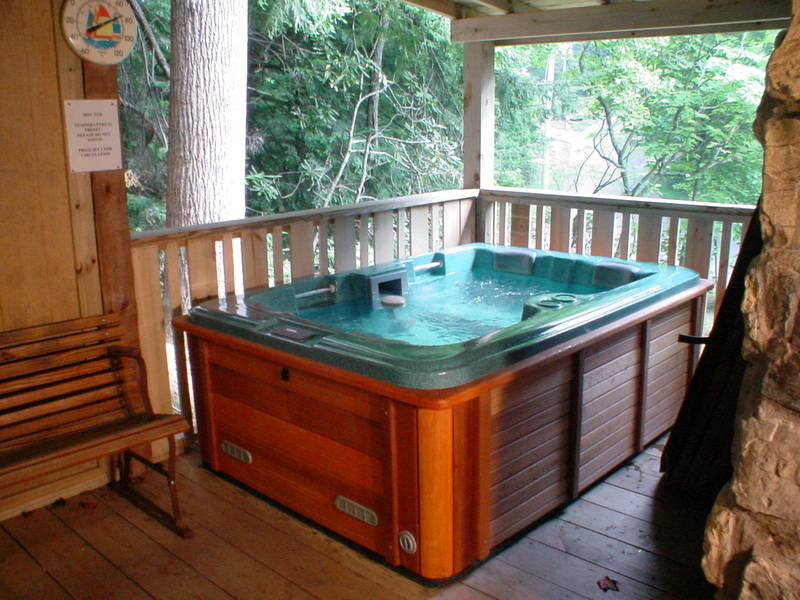 The hot tub is located on a private covered porch (just off the living room)so it can be enjoyed in all weather situations. 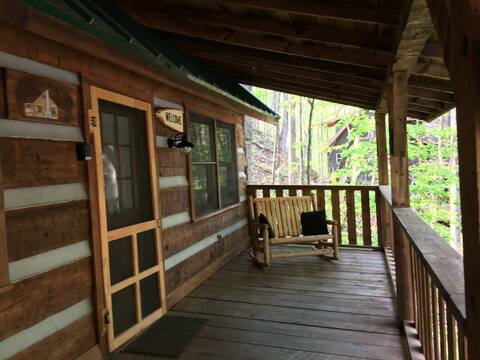 This cabin sits just off Ski Mountain Road at 2,432 feet and is just a short drive to the national park. 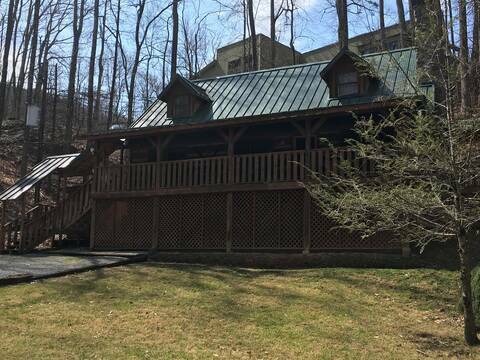 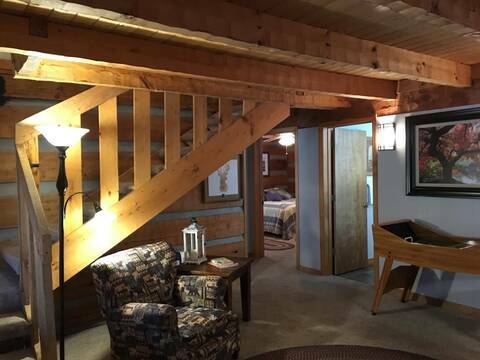 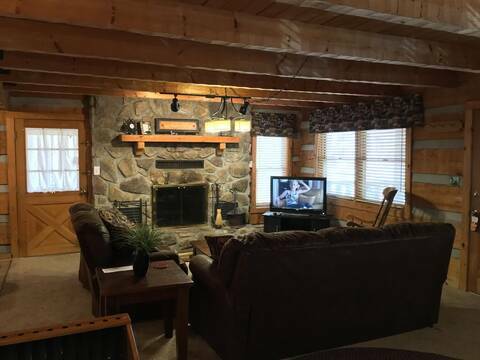 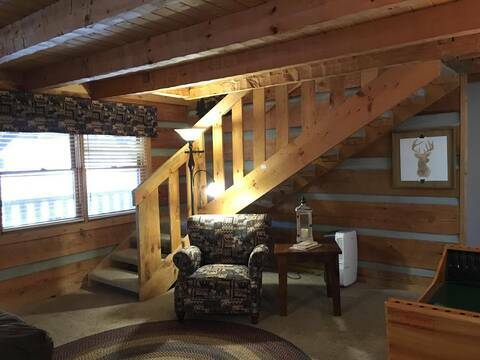 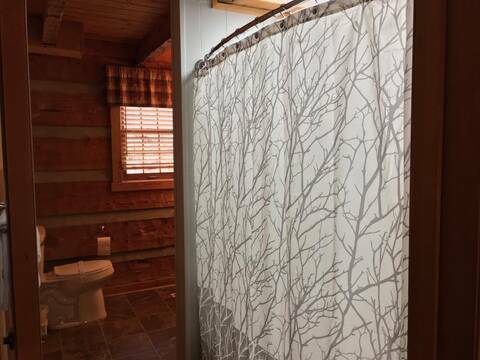 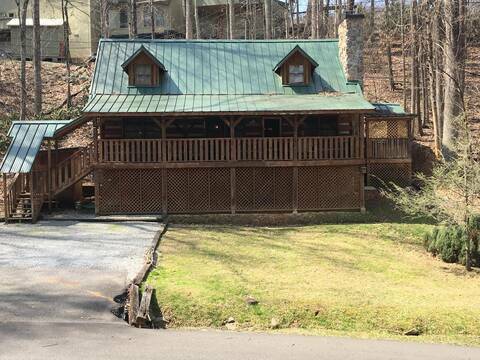 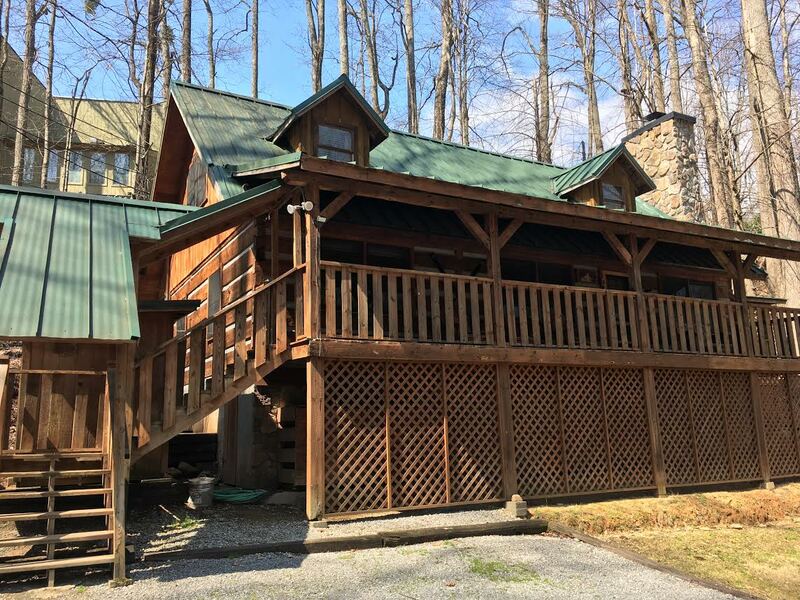 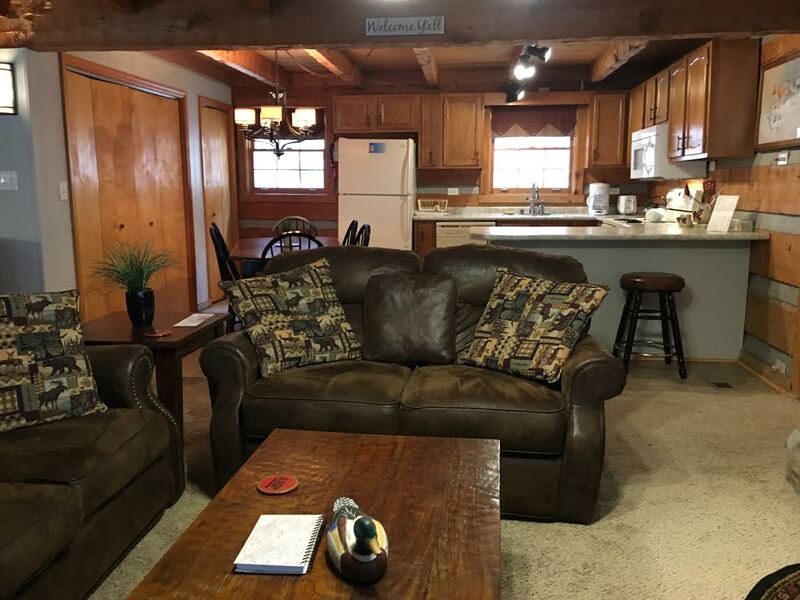 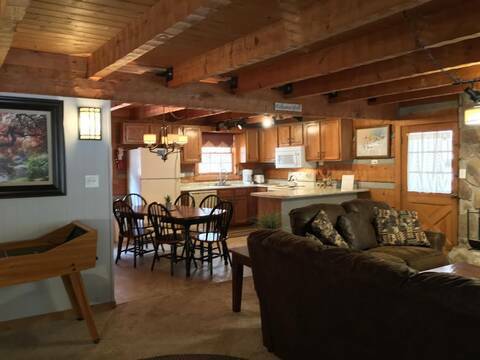 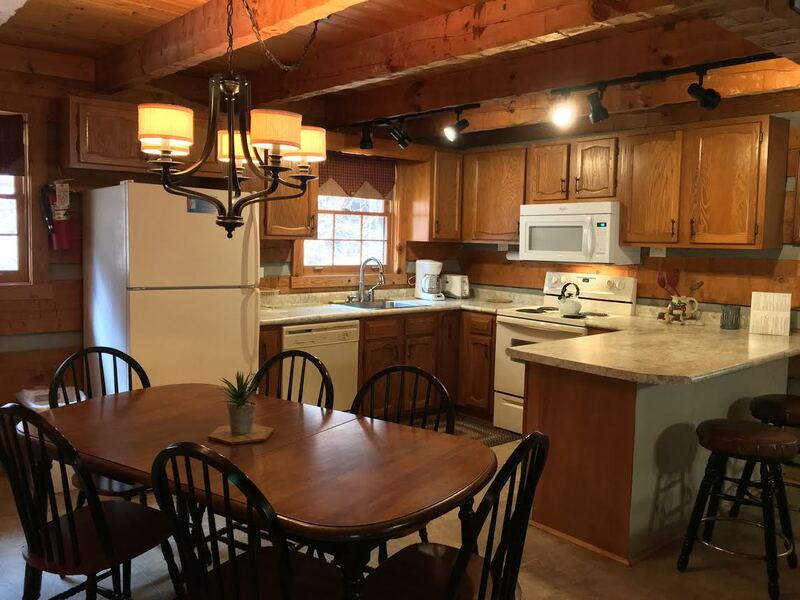 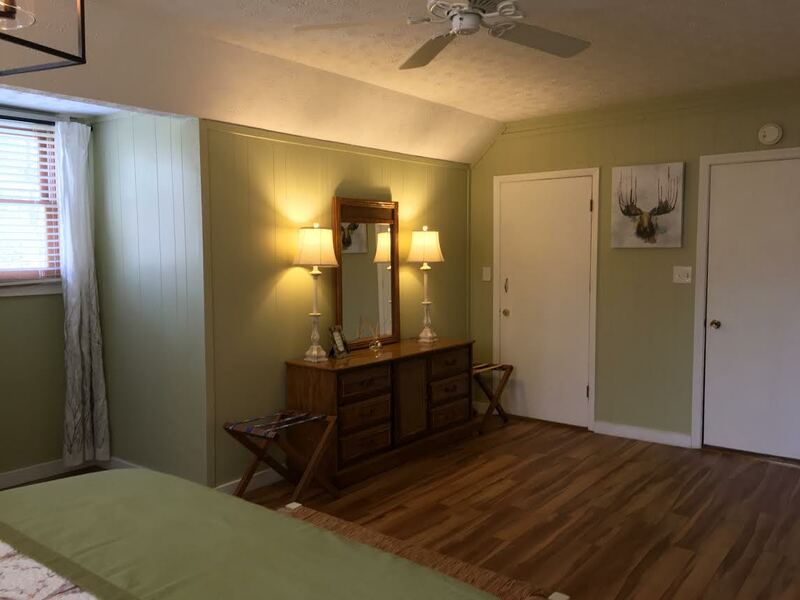 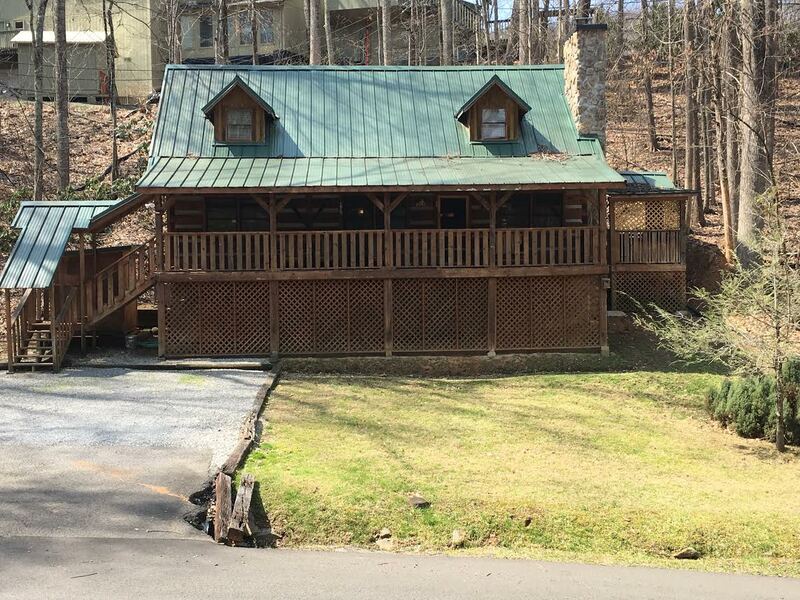 If you are into winter sports, snow skiing or snowboarding this cabin is just a few minutes from the ski resort, as well as downtown Gatlinburg. Another amenity this cabin offers is access to Chalet Village Owners Club. 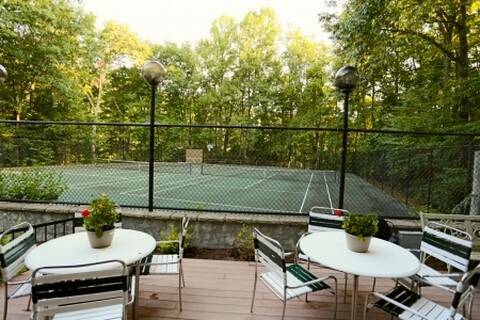 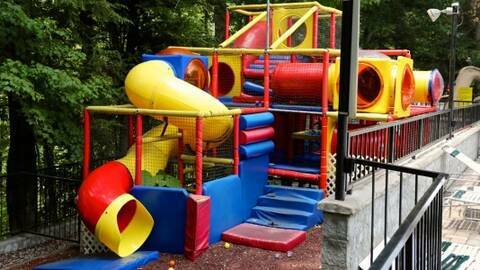 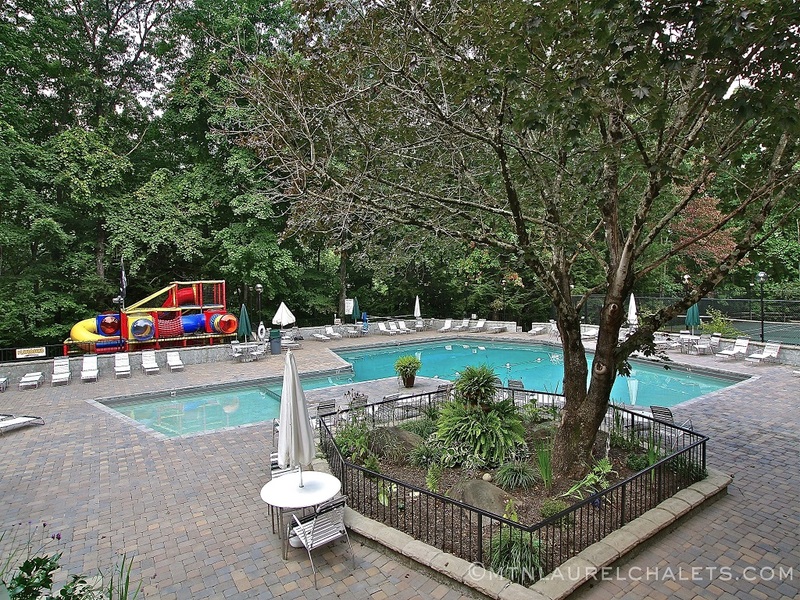 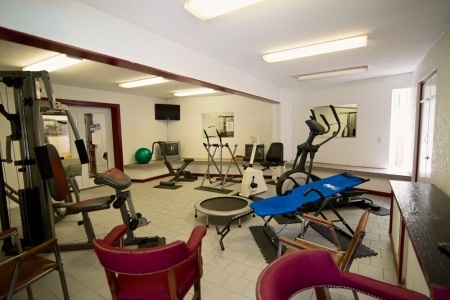 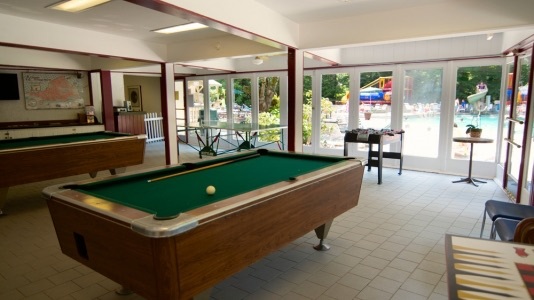 There you can enjoy a large swimming pool, kids pool and tennis courts. Though the club house is located on the hill just behind the cabin we recommend driving around to gain access as the climb up to the clubhouse would be steep on foot.